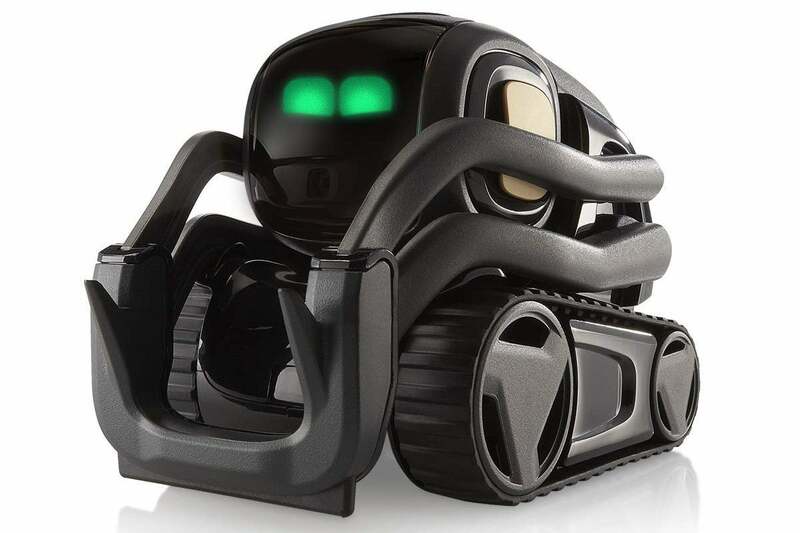 Amazon is selling Anki's Vector smart robot for $175 today, 30 percent its list price and the lowest price we've ever seen. Anki’s Vector isn’t your typical smart speaker. Yes, it can set a timer and tell you the weather, but it’s not tethered to a plug. It’s not even stationary. It’s a smart robot with a personality that sleeps, explores, and is afraid of heights. And today Amazon is selling Vector for the lowest price it’s ever been: $175, 30 percent off its $250 list priceRemove non-product link. Once its summoned, you can ask simple questions like you’d ask Google Assistant or Alexa, such as, “How many cups are in a gallon,” or “Who’s the president of the United States.” Vector has a HD camera behind his eyes that will recognize people, avoid objects and cliffs, and snap photos when prompted. It knows when its battery is low and will return to its charger for a power up. And if you pet it, Vector will make happy noises like a puppy. Along with his cute eyes that convey a range of emotions, Vector is loaded with tech: a Qualcomm 200 series processor, capacitive touch sensor, beamforming 4-microphone array, ultra-wide HD camera, infrared laser scanner, six-axis inertial measurement unit, and a high-res color IPS display. And of course, it has Wi-Fi and Bluetooth built in. It also comes with a cube with he can use to play games and pop wheelies. Anki’s other smart toys are also on sale at Amazon, including the original Cozmo robot for $126Remove non-product link and Overdrive racing kit for $97.50Remove non-product link.